As you can see, each one of these shades are complex and full of depth. 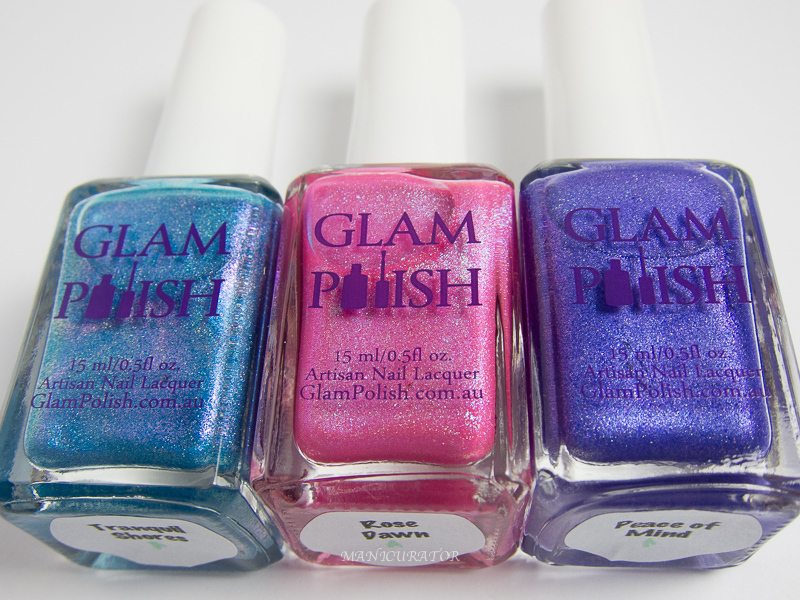 I'll do my best to describe each shade..
Glam Polish Peace of Mind a purple which appears more violet or blue depending on the light. Packed with shimmer and scattered holo, much of which is hard to catch in photos. A really stunning shade with perfect formula. Shown here with 2 coats. Glam Polish Rose Dawn a happy pink with beautiful silver shimmer and scattered holo. Also perfect formula, 2 cts here. Glam Polish Tranquil Shores Stunning turquoise with pink shimmer/shift and lots of holo bits. My favorite of the bunch. Another perfect formula, I used two coats, going heavy on the second to cover the nail line. 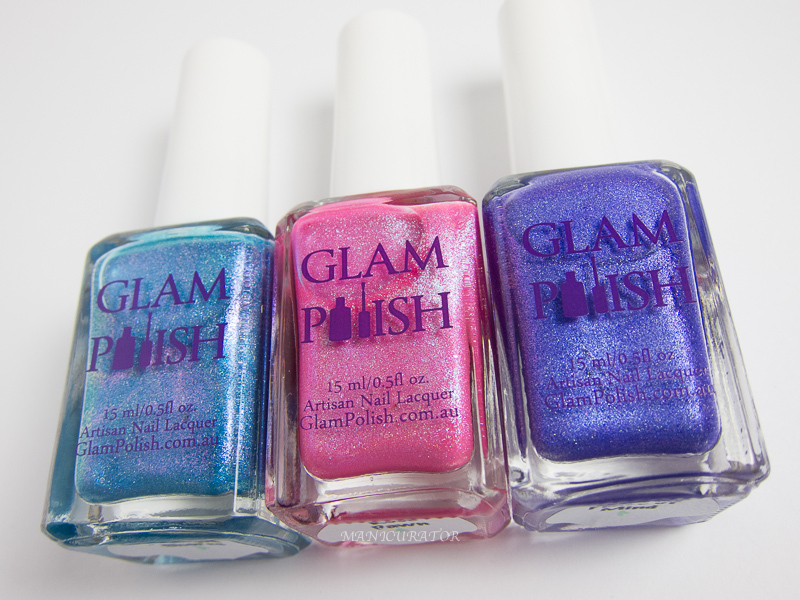 I'm always impressed with Glam Polishes and these are no exception! What do you think? Those are some gorgeous shades! What a nice trio. Rose Dawn is such a happy Barbie pink! ....and this is how a wishlist grew longer. These swatches are gorgeous! Random question - what kind of light do you use?